The army in film and parade depiction | A Precarious Independence…. One accurate and sensitive barometer of Authoritarianism within a given state structure is the ceremonial lavishness bestowed on the Monocrat’s self-defense forces. From Imperial Rome to Imperial France and (in the 20th century) the neo-authoritarian states born from the 20th century’s “total war” episodes, self-appointed autocrats inevitably and correctly perceive that their personal power (thus “order” in general) depend on solving the ancient problem of “who shall guard the guards”? Such forces must, by their existential logic, be better equipped and have tougher recruitment standards than the mass of conscripts that make of the overwhelmingly greater portion of all standing armies, the more so as the scale of mobilization expands with the expansion of war itself. But the same phenomenon is already apparent in the 18th century, if not within individual armies, then between them when they take the field in multi-state alliances. Nor is it confined to non-Anglophone armies: even in Great Britain (as far back as the 17th century Civil War) the Royalists (taking their cue from Louis XIV) were led by Prince Rupert’s elite heavy cavalry, who (for a while correctly) believed that expensive cavalry arms reflective of feudal heraldic glory could overcome the larger masses of “plain” Protestants that Parliament mobilized against them. 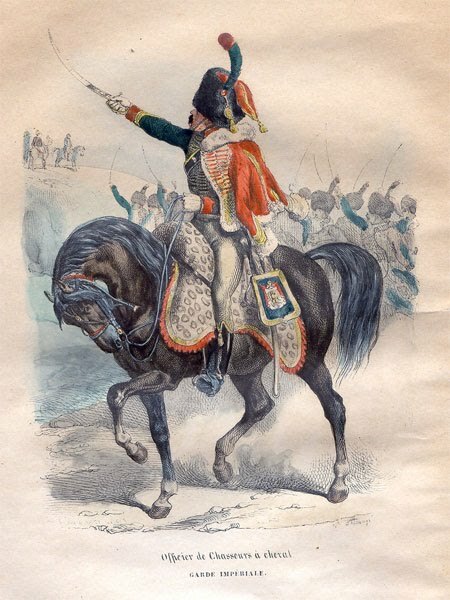 Later on the Coldstream Guards(originally Scottish Highlanders), one of the seven regiments in the Household Division – the personal troops of Her Majesty the Queen – broke the association with heavy cavalry (cuirassiers), since they coalesced from the Cromwellian “New Model” infantry, but that dismounting did not prevent them from defecting to Charles II as one of 7 “King’s Own” guards units. The “inner” ring that was deployed to protect the Monarchy still survives on the Horseguard parade units the tourists all want to see – perhaps because it is a last living relic of the days/times when the outfitting of “Royal” units was a no-expense-spared dress affair and expertise in parade-ground marching maneuvers took up most of their daytime labors. But nowadays, of course, they are given the cachet “Queen’s Own”. Its pre”modern” apotheosis was of course the (usually mounted) Garde Imperiale who famously charged Wellington’s “riff-raff” squares in the final act of the Battle of Waterloo. N.B. (April 28, 2014) This essay says all I want to say, about how the 8th Route Army (in Yenan) financed itself and met its import (weapons) needs by growing and exporting opium, while ingeniously hinting that the surplus that paid for these imports was created ex nihilo by a “self-help” (zili gengsheng) campaign modelled after the Nanniwan mini-commune. But it remains inadequately edited – many paragraphs are out of order, and the flow of subjects needs one more cut and paste…. I’ve put it up even in this compromised state in the hope of getting reader feedback before the final rewrite. JP. recalled over time and space to express a sadness over promises unfulfilled, but also becoming an oath of faith during the Civil Rights Movement: a prayer that the singing voices may yet see those promises kept. It seemed a template that might be right for early 21st century”young” China, struggling as it is with environmental ruin and the pulverizing of older milieu and slower ways. Save that only the post-teen or “young adult” listener can recall (in retrospect) a past promise or hope (nostalgia) for any kind of Red utopia or its collapse (Land Reform, the Communes, etc.) , whereas China’s post 1990 “rock” audience is deafeningly, crudely young on stage. They cannot live without noisy light and, memory-crushing sound (in their search for oblivion), whereas as nost-prot demands, or demands to “create”. a memory “as if”. But there IS one now very definitely nost-prot song that hit the nail on the head, and continues to. It is in counterpoint to (though it shares the name) of the N. China folksong “Nanniwan” and the music of the “Increase Production Campaign” (Dashengchan yundong) of 1942 that it highlights but rebuffs if ever so subtly, I was unaware that there was anything of this nostalgic protest genre in Chinese “pop”. But that changed when I heard Cui Jian sing Nanniwan in his own, sort’a 1960s mock-nostalgic (poker faced) way. This is a style (or least stylist) that fades quickly from the Chinese mass media, but obviously it was at one point at the razor’s edge. From the moment of its first performance or not long after, it was banned- though of course the “underground” of post-1989 guaranteed that it continued to be “heard”. The censure of course only added to the popularity (notoriety). Which is why as a cultural monument it deserves scrutiny – and of course rewards it too. But why this song in particular offended the kulturkrats is still not clear. Is it perhaps because it decontexted? 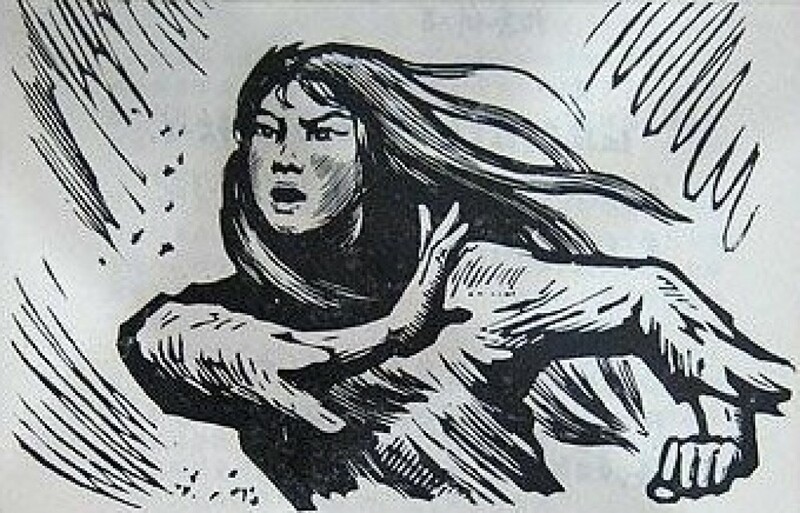 In the orthodox performance version it was paired with the sledgehammer song “Greatly Increase Production” (dashengchan), also a folk “song” nostalgic of the way rural construction gangs sang haozi as they worked, and finished with a very famous scene of a row of peasant women spinning cotton thread en masse. It was a social history of sorts, an early depiction of the Commune, producing and then celebrating. But “work” (production) is not in Cui Jian’s “remembrance” of Yenan. Nanniwan is but a short paean to flowers, the “work” element pushed away – because it was so embedded with lies? Blogsite respondents focus on the way it seemed to desacralize a Old Red favorite, all the more infuriating since the favorite in question was enshrined in the Party Epic “East in Red”, as performed by perhaps the truest Dolly Parton of Ol Red Opry, Guo Lanying. But another response one hears is that it morally embarrassed those in power “On the Mainland” (as viewed from Taiwan). 因为大陆这边心虚啊. Made them feel guilty. http://zhidao.baidu.com/question/6762193.html?qbl=relate_question_4. Still others feel that even the reasons themselves are literally unspeakable; that we’ll never know. Not much can be intuited about the problem-aticity even by a line to line comparison of the orthodox and deviant form of the song’s delivery. The words are the same, even the tune is the same. If there is a clue it is external to the performance, it something known (suspected) by the audiences but not explicitly discussed, perhaps not even discussable for lack of materials or testimony. The Oratorio-Cantata-Masque “East is Red”, first staged in 1964 to mark the 15th anniversary of the founding of the PRC, inaugurates or perhaps caps the early PRC attraction to the “album” framework for the celebration of major historical events… Or perhaps grab bag is more suiting. Mainly reflecting a desire to sound and look cosmopolitan, songs and dances were gathered up and recorded on short order with little concern for their history or national/ethnic origins. The 1939 Song of the Guerrillas is however a con-fusion with a deeper meaning. 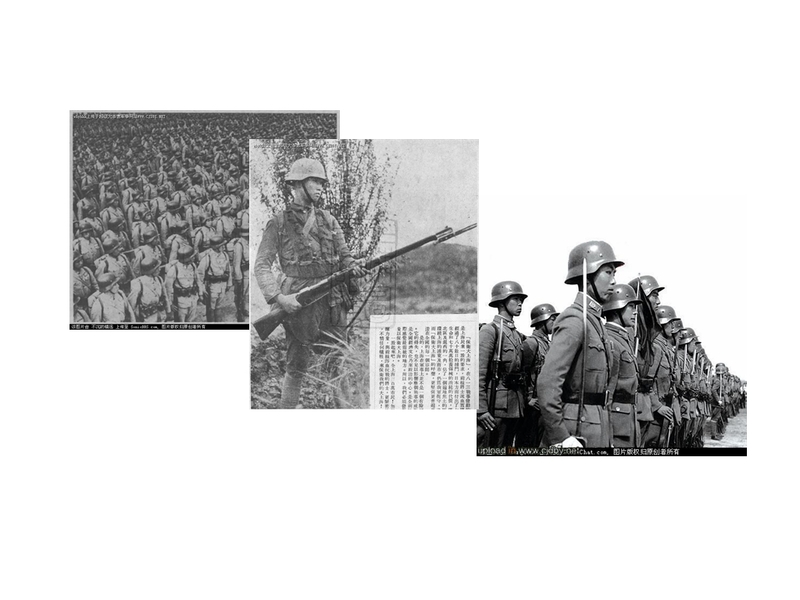 It ostensibly portrays in song and ballet dance the Eighth Route Army’s mastery of guerrilla warfare as a resistance weapon – a claim true enough in the coastal hills and valleys of the Qinling chain spanning S. Shanxi, Henan, and inland parts of Shandong. But the music itself is not reflective of guerrilla style; historically it is quite COLONIAL (suppressive) in origin. It is, first of all, a rather gallant march in 2/4 time. But of course military march-stepping is the dance of show, display, regimental pride, a mimesis of inflexible obedience to implied command. Spit and polish, elaborate “parade” costume, and perfectly coordinated left-right derivative or reinforcive of the tight-order drill-with-muskets that was the essence of European footsoldiering from the late 17th century. And, of course, in the colonies it was an instrument of psycho-coercion, reminding subject persons of the power of imperial discipline, the product and pride of an imperial order not to be challenged and certainly not replicable. In (colonial) China this would have been the music to which British (or more often subaltern) soldiers and police stepped out on holidays (something lampooned in the opening sequence of Malu Tianshi. The “Song of the Guerrillas” was written by a Franco-Russian trained conservatory composer, He Lüting 贺绿汀 (I903-1999) no doubt for self-inspiring choral singing in army camps, but seems never to have “performed” as a march – for guerrilla war relied in a sense on anarchy and discoordination – and the last thing Zhu De and com. would have wished to inspire in those times would have been an enthusiasm for stand-and-fire combat. So why was the march/song written, most strangely of all to grenadier-guard goosestep/parade music?